There was a fantastic Barefoot Contessa TV special this holiday season called “Barefoot in London” – Jeffrey rides around town on a double-decker bus while Ina explores the London food scene. Back home in East Hampton, Ina recreates these tasty British meals (obviously with a twist and the volume turned up). 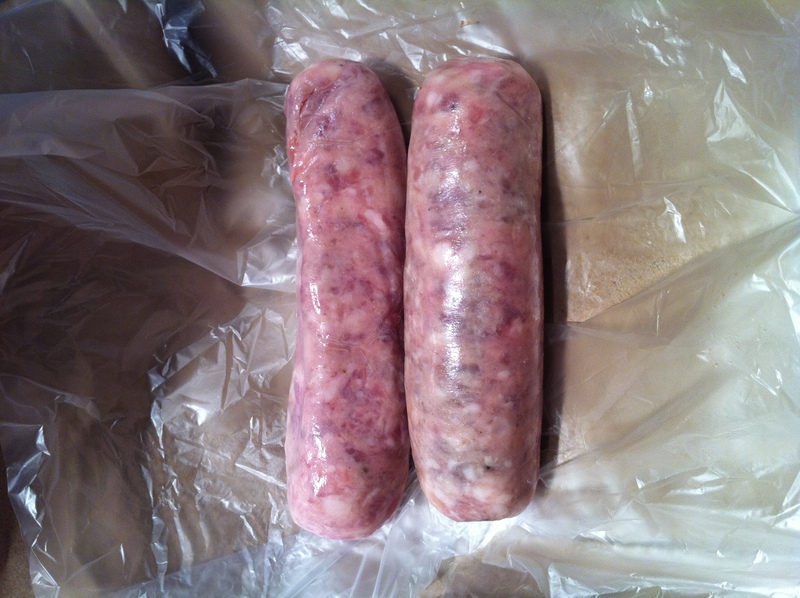 One of these delicacies was bangers & mash starring our very own encased beauties. This recipe is also in her fabulous new book How Easy is That? I’ve never come across an Ina recipe I didn’t love (probably accounting for 15% of my total body mass), so I got to work. Preheat your oven to 425 degrees F. Place the sausages on a sheet pan and bake for 18-20 minutes until they are cooked through. Meanwhile, fill a large saucepan with water. Add 1tbsp salt, and the diced potatoes. 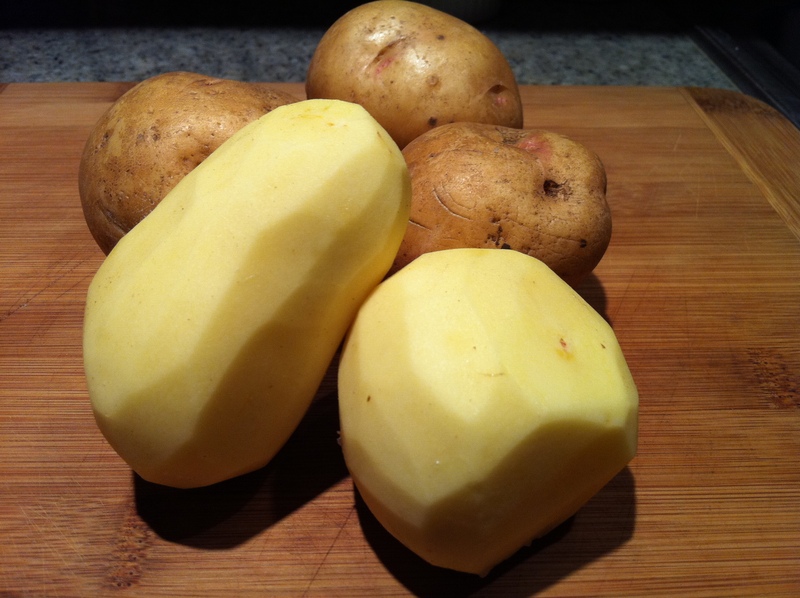 Bring to a boil and cook for about 20-25 minutes, until the potatoes are very tender. Drain the potatoes and return to the pan. Add dijon mustard, grain mustard, dry mustard, milk, creme fraiche, pepper, and 1 tbsp salt. Whip thoroughly with a handheld mixer. 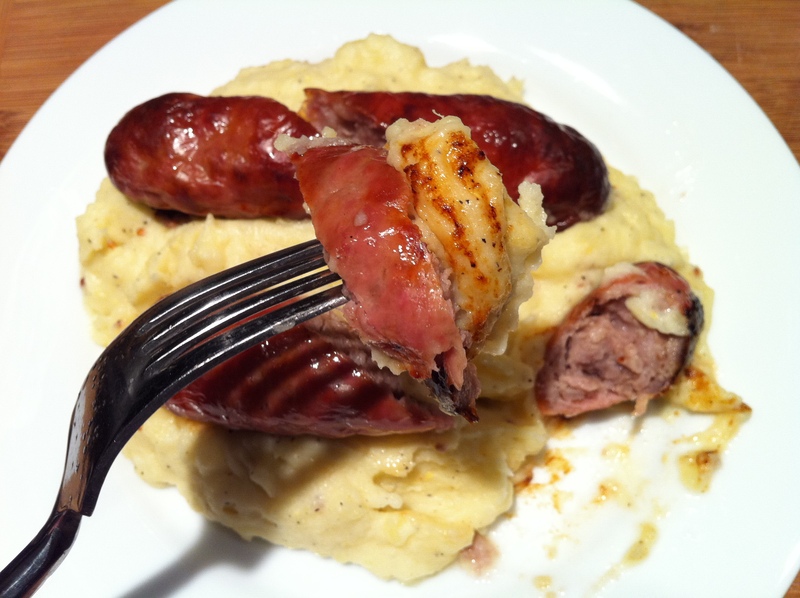 Mound a plate with the potatoes and top with sausages that have been cut in half diagonally. Holy smokes, this is REALLY delicious… I was going to garnish it with parsley but really couldn’t wait to dig in. Probably up there with my top 5 meals. I can feel my arteries clogging so I’m going to get myself to the gym immediately. Happy Presidents’ day to all! This entry was posted in Encased Meats, Pork and tagged Barefoot Contessa, Barefoot in London, Creme Fraiche, How Easy is That, Ina Garten, mustard, potatoes, sausage. Bookmark the permalink.